One of those strangely charming moments. 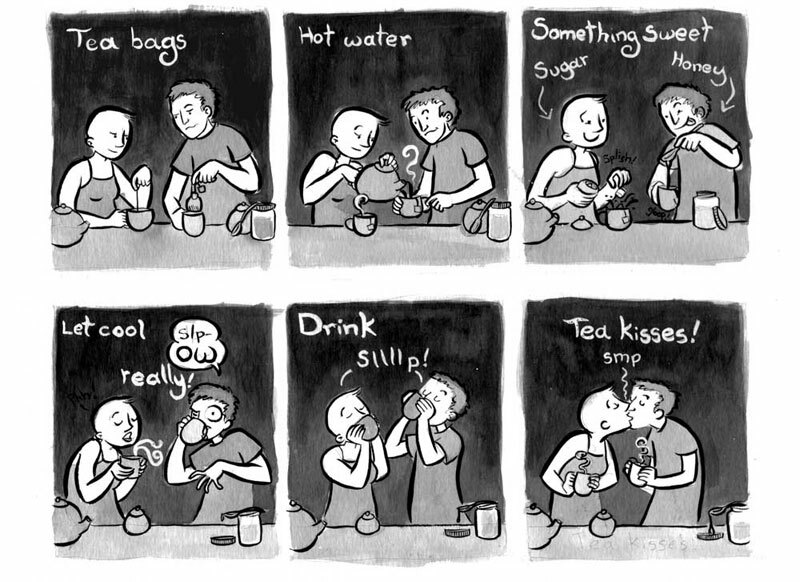 My boyfriend and I both love tea… and he sent me a link to this particular comic (which made me go all schmoopy, yay!) and now I am reading your whole archive. you should tell your erm husband is it? that honey looses all its healthy goodness as soon as it comes in contact with hot liquid! hehe but such a sweet moment^^ im a tea person myself! This comic made me pick up tea drinking again. I’ve read every strip from end to beginning, then beginning to end, and i still come back to reread my favorties almost every day. What a great comic. Life is definitely about those beautiful little moments! I love tea, but only if it’s done correctly– brewed in the Sun, and served ice cold!